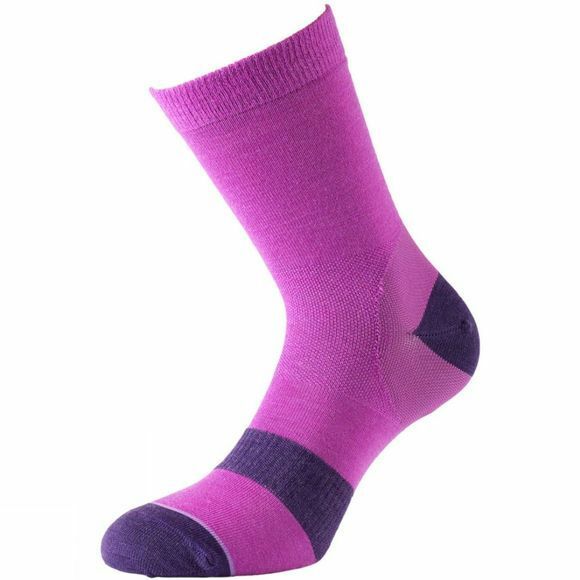 The Womens Approach Sock from 1000 Mile is designed for maximum comfort with today's technical approach footwear. The 100% Tactel inner layer stays with the foot, wicking away moisture, whilst the soft merino wool-mix outer moves with the shoe, reducing friction and helping to prevent blisters and reduce wear. The unique combination of fibres maintains a comfortable temperature for the foot. Designed to be worn for 2 season walking and off-road activities in lightweight boots as well as approach or trail shoes. Outer: 66% Merino Wool, 33% Nylon, 1% Lycra.